Kim Ephgrave Visiting Professor Award - The call for 2019 host institutions is now open. Apply by April 19. Patricia Numann Medical Student Award - Nominations open until May 15. 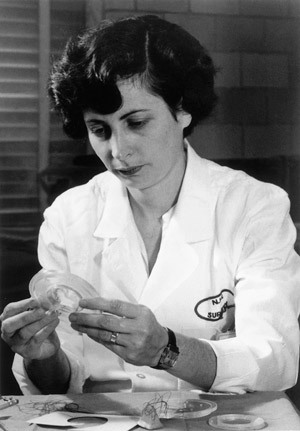 Nina Starr Braunwald Award - Nominations open until May 15. Olga Jonasson Distinguished Member Award - Nominations open until May 15. The Dr. Sally Abston Association of Women Surgeons (AWS) Distinguished Member Award - Nominations open until May 15. Past Presidents Honorary Member Award - Nominations open until May 15. Hilary Sanfey Outstanding Resident Award - Nominations open until May 15. Thanks to the generosity of our members and our supporters, the AWS Nina Starr Braunwald Award, the AWS Past Presidents’ Honorary Member Award and the Hilary Sanfey Outstanding Resident Award are now fully endowed. Therefore we are no longer accepting donations to these funds. This program provides academic institutions with the opportunity to host leading women surgeons as speakers. Opportunities to lecture heighten the visibility of women surgeons while inspiring surgical residents and encouraging women medical students to pursue similar careers. In addition, the Kim Ephgrave Visiting Professor Program promotes dialogue between practicing surgeons and the academic community. The program was recently named in memory of Dr. Kim Ephgrave who served in the AWS Leadership from 1997 – 2002 and as AWS President in 2000/2001. The call for 2019 host institutions is open now until April 19. Apply today. This award was established in 2016 to enable a woman surgeon in a low or middle income country to attend a surgical meeting, participate in a workshop or other career development or educational opportunity. The 2017 recipient of this award is Dr. Mumba Chalwe-Kaja for her work as the first female urologist in Zambia. The 2016 recipient was Dr. Lydia Nanjula, a neurosurgery resident from Uganda. The award enabled her to attend the College of Surgeons of East, Central and Southern Africa (COSECSA) and Women in Surgery Africa (WISA) annual meetings in Mombasa, Kenya. Named in honor of the founder of AWS, this award was established to encourage and support female medical students pursuing a career in surgery. The recipient is chosen based on their potential leadership qualities or research contributions to the field of surgery, response in a personal statement, and letter of recommendation. Nominees must be in the fourth / final year of medical school at the time of nomination and have demonstrated a commitment to pursuing a career in surgery. 2019 Award Nominations are open now until May 15. Nominate someone today. The Starr Medical Student and Resident Research Forum, named for Dr. Nina Starr Braunwald, is designed to facilitate interaction and idea exchange between students interested in surgery, surgical residents, and faculty members of various institutions. We invite medical students and residents to select their best work for presentation at the AWS Annual Conference. Established through an endowment, the AWS Foundation presents this award to a member or non-member surgeon in recognition of sustained, outstanding contributions to the advancement of women in surgery. This award is named in memory of Olga Jonasson, MD, who was the first female chair of an academic department of surgery and a leader in the American College of Surgeons. The award is given to an AWS member who, through outstanding mentorship, enables and encourages women surgeons to realize their personal and professional goals. The Dr. Sally Abston Association of Women Surgeons (AWS) Distinguished Member Award has been created by her colleagues and friends at University of Texas Medical Branch (UTMB) Galveston, to honor Dr. Abston (1934-2008), for the exemplary inspiration she gave to so many women and men throughout her career. 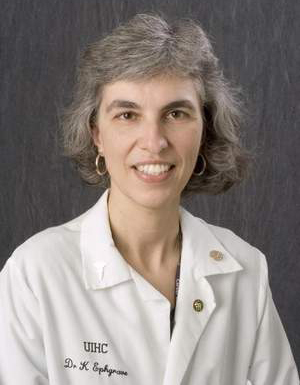 She was a general, burn and trauma faculty surgeon at UTMB, Galveston, who was beloved by her residents and patients alike. She gave her utmost to the betterment of her patients and was a staunch defender of her residents and students, insisting on collegial treatment for them, in a time when there was less awareness of quality patient care and resident well-being. Her faculty colleagues knew her as a true and loyal friend, who was always available when needed. The award will be given to an AWS member who, in addition to nationally recognized clinical expertise and providing outstanding mentorship, is a role model of "what I want my surgeon to be like." The recipient of this award will have demonstrated unwavering commitment to encouraging and enabling women surgeons to realize their personal and professional goals. Dr. Abston was awarded the AWS Distinguished Member Award in 1994. This award is given to non-members who are supportive of AWS’ goals and mission. It was renamed in 2007 in recognition of both the legacy and the generous endowment provided by our AWS Past Presidents. Formerly the AWS Outstanding Resident Award, it was renamed to reflect the generous endowment established by Dr. Sanfey to support the award’s annual funding. Nominees will be surgical trainees who are in primary residency training in either general surgery or a surgical specialty at the time of nomination, and who demonstrate potential as future leaders in surgery.